DO YOU NEED THE ETL LISTING FOR YOUR SPRAY BOOTH? Standard Tools and Equipment Co designs and manufacturers spray booths and mixing rooms to comply with NFPA-33, the top-level safety code in the USA for spray application of flammable or combustible materials. We are in compliance with these codes, which means that as the supplier, we feel that we meet the code. Being compliant is not always enough, as some authorities require certification by a third-party to confirm compliance. That’s where Intertek/ETL comes in. As a nationally recognized third-party certification organization, they have tested and certified our most popular spray booth and mixing room models. We offer an upgrade package on our most popular spray booths and mixing rooms. This package includes our ETL-listed electrical control panel, an air valve solenoid to interlock the fan motor and spray equipment and the ETL label for the booth. So, do you need the ETL listing? How can you acquire the ETL listing? Buy it with the spray booth. Standard Tools is allowed by Intertek/ETL to apply the certification mark to the booth only prior to the spray booth shipping from our dock. If the booth is already installed, you can contact our engineering team and we will provide contact information for Intertek. Intertek will have to visit your shop to inspect the spray booth and apply the certification mark. 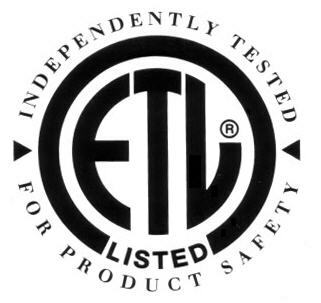 On-site certification is usually three to ten times more expensive than buying the ETL mark with the spray booth. Other on-site certifiers are UL and MET. Our CMC Concord booth is already installed, please contact our engineering team to provide contact information for Intertek. Previous Previous post: If it doesn’t challenge you, it doesn’t change you.